Our multilingual team welcomes you with a smile 362 days a year (closed on 1 January, 1 May and 25 December) to help you organise your stay and provide you with personal advice in French, English, Spanish, German, Italian, Japanese and Chinese. Our tourist advisors will be here to inform and advise you about your trip to Versailles. Accommodation, activities, eating out and local specialties... Don't hesitate to ask them, they will answer you with a smile. On the spot, you will be able to buy tickets for the Palace, shows and guided tours of the royal city. 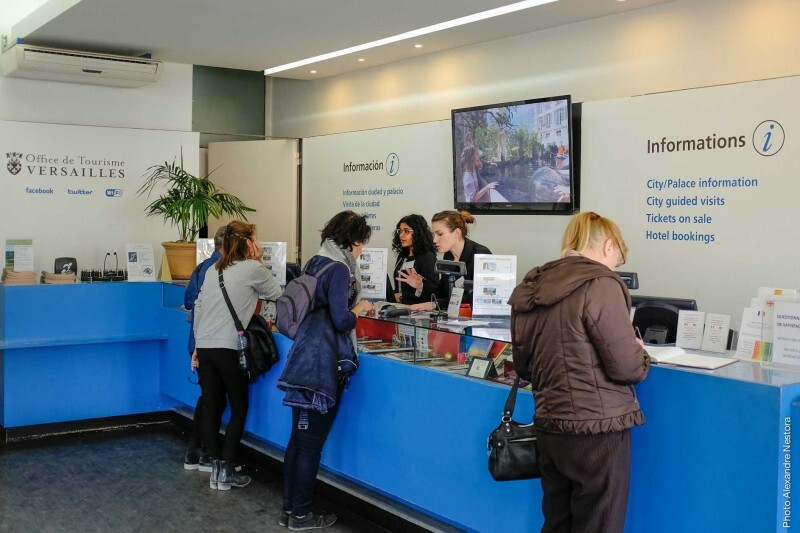 We also host a bureau de change operated by Versailles Change, and we provide free Wi-Fi. During or at the end of your stay, don't hesitate to come back and buy souvenirs to surprise your loved ones with original gifts. Our tourist advisors will offer you personal advice to visit the historic Saint-Louis area. You will be able to discover another aspect of Versailles by watching the film "Versailles from the sky" in the projection room. 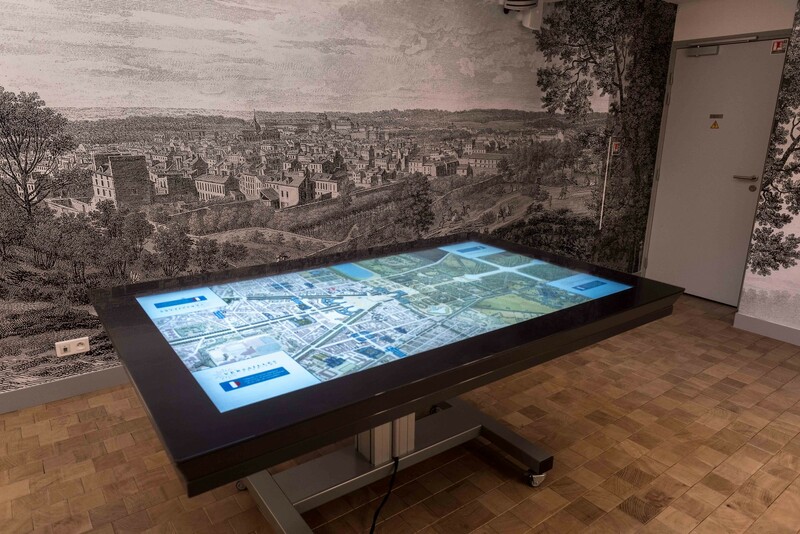 A touchscreen tablewill also be at your disposal to get more information about the different areas and monuments in the city. This table will allow you to create your own visit itinerary. Before leaving, don't miss the ongoing exhibition "Artisans of the Saint Louis district" until the end of April 2018.